It took a horrible accident for our next guest to change his life around. 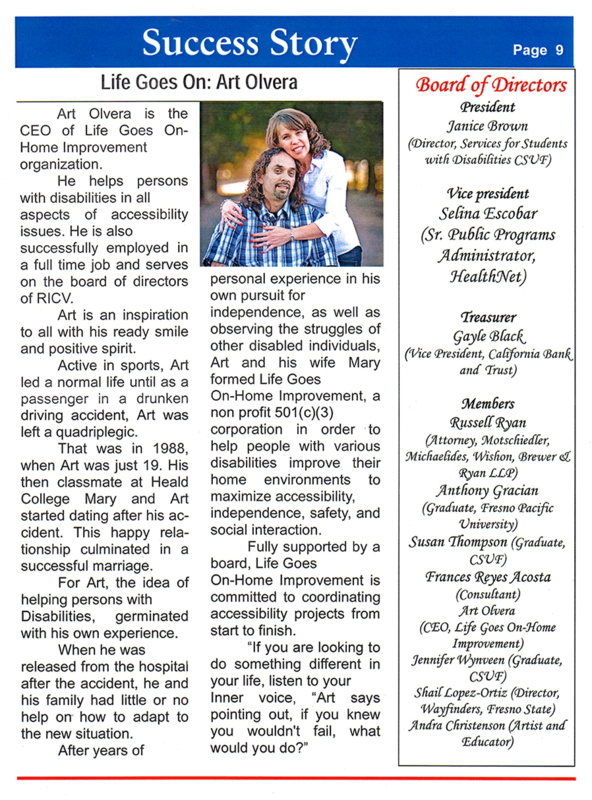 About 25 years ago Art Olvera was involved in a drunk driving accident that left him a quadriplegic. Years later he set out on a quest to help the elderly and those with disabilities become more independent. Now he heads a nonprofit, which proves life goes on. Joining us today is Art Olvera the CEO of Life Goes On, Home Improvement Inc. Copyright © 2014 Life Goes On | Contact Us Today!